The Trellis Outdoor Floor Lamp provides ample lighting for outdoor gatherings, feasts, or precious time reading in solitude. No longer are people at the mercy of outdoor elements, even while outdoors! When the sun goes down, you don’t have to go inside for ample lighting. Bring the lighting outdoors with you! But not just any old light will suffice. Even in the most pleasant of climates, one must consider several protective features against inevitable elements like moisture from rain or dew, sunlight exposure, wind exposure and more. Light bulbs should be protected by watertight shields, fabrics must be all weather, every component must be rustproof, light switches must be waterproof, and the lamp must be heavy enough to stand steady through windstorms or breezes. 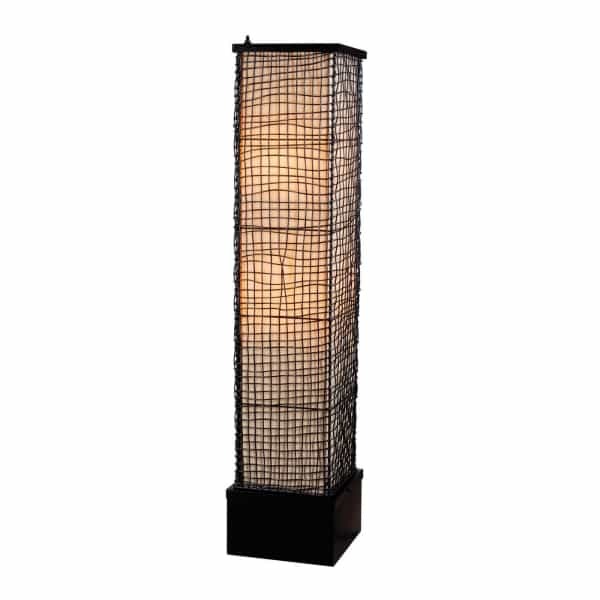 The Trellis Floor Lamp has all of these safety features and more, all wrapped up in a clean, unique contemporary lighting package.